Theirs is a caste-based culture with rather simple military designations as Minors, Majors and Ultras, although there are special ranks granted to individuals selected to carry out specific tasks. For some reason, instead of labeling the figure I’m reviewing today simply as an Elite Major, McFarlane Toys decided instead to put Elite Officer on the package, but nonetheless, for all intents and purposes both designations are the same. 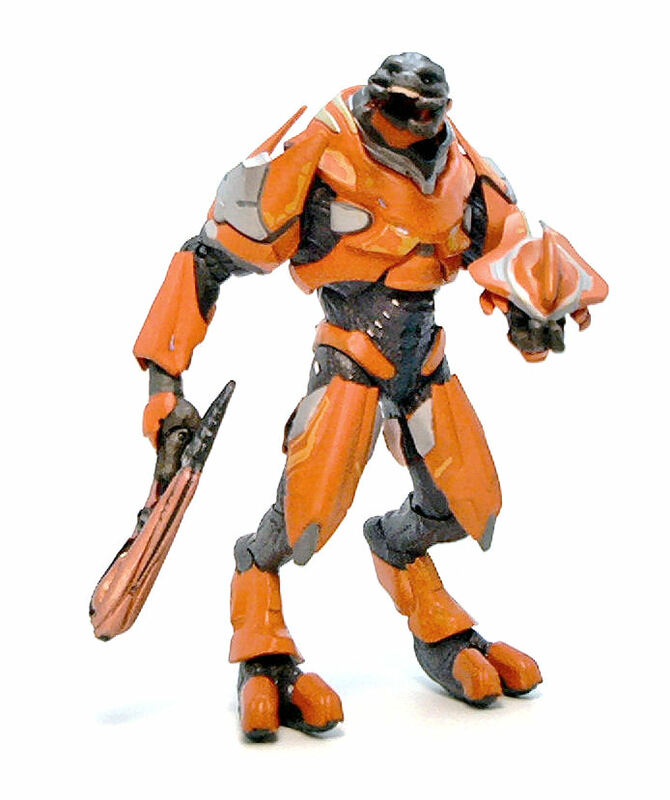 The Elite Officer was released as part of Series 3 in the Halo: Reach line. He uses the standard Elite body, with different pieces of armor glued on. These added pieces are the thigh armor plates, the shoulder pads, the chest plate and the bracers, while the rest of the armor is sculpted right onto the standard body. The Officer armor is heavier and bulkier than the one used by Elite Minors, and the Officer has also a new neckpiece that shows additional protection. The helmet is removable and also a different sculpture with a fin on top to show the higher rank of the wearer. 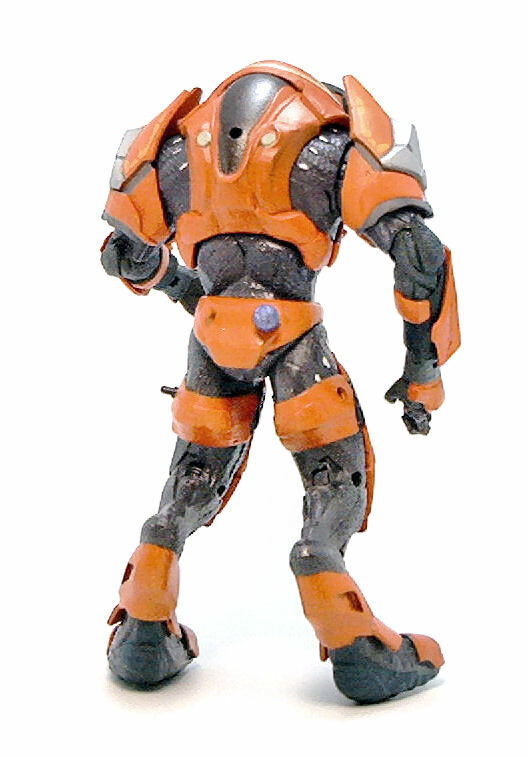 The basic Elite body is very detailed and incorporates well the articulation into the character design. 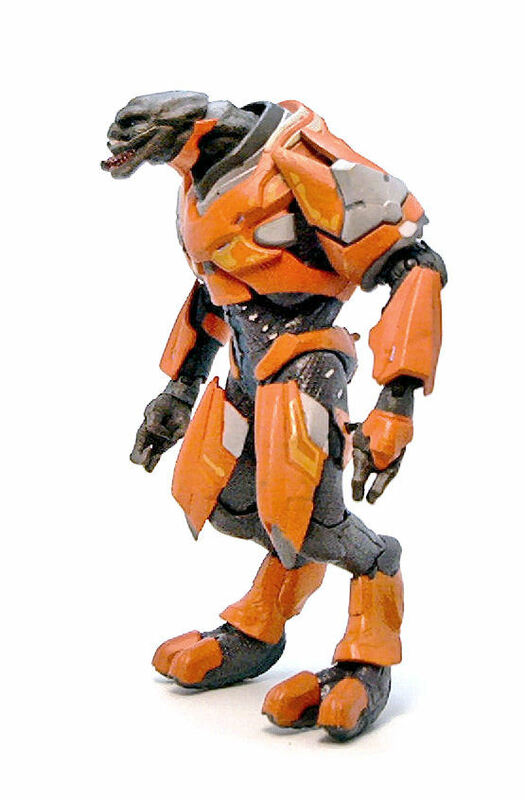 Elites are very bulky and top heavy, which can cause some stability issues given their digitigrade leg configuration, but overall the joints are stiff enough to support the weight of the figure. Lots of barbells in there, to be sure, but not all of them are entirely useful. From the waist up, the joints work as expected, even taking into consideration the bulk of some of the pieces. From the hips down, the joints are slightly less versatile, starting with the hips themselves, which have a limited range of movement and the knees, where the usefulness of the joints is restricted by the pre-posed ankles. 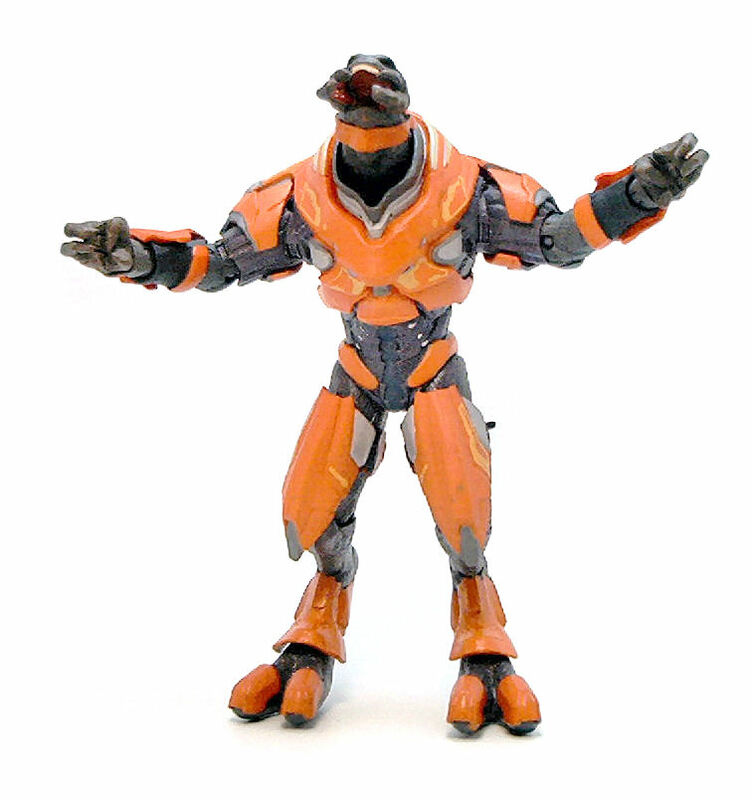 The articulated footpads do a rather nice job of picking up the slack though, so it is possible for the Elite Officer to achieve some dynamic stances. 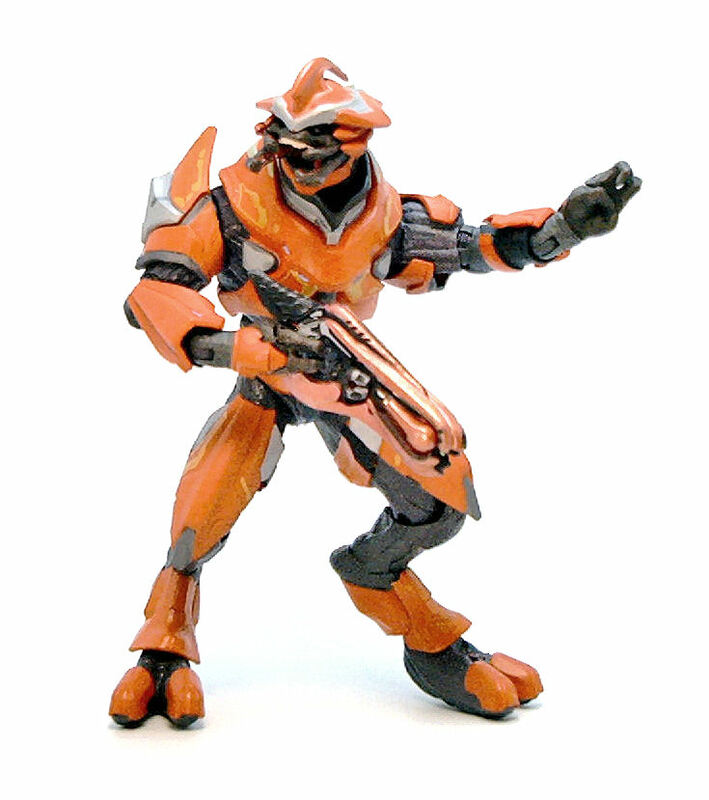 Back in the days of the Halo 3 line, rank designation on the Elite figures was achieved just by painting the armor in different colors, blue for the Minor caste and red for the Majors. 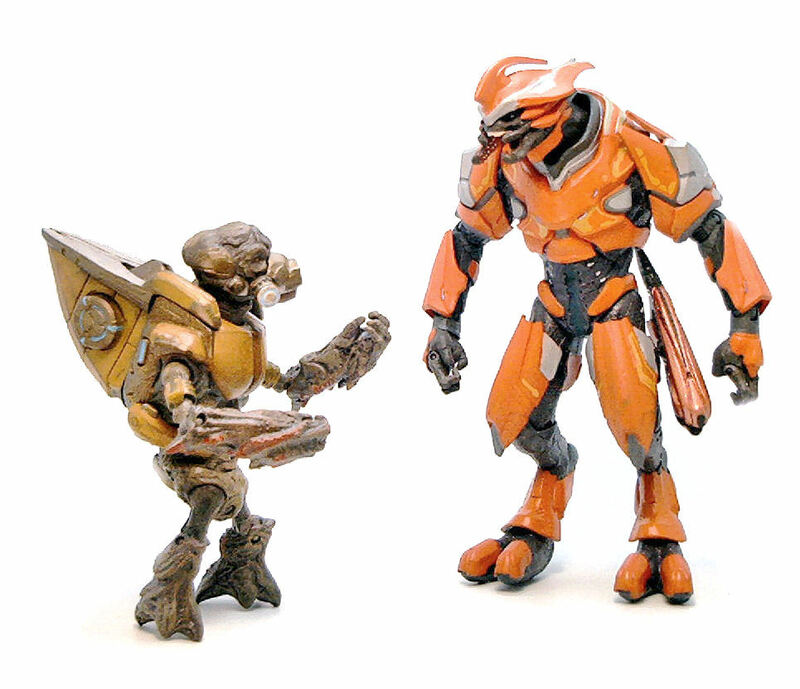 For Halo: Reach, the Officers are painted in orange, with a few accents picked out in golden yellow. The overall paint application is very neat and precise with not a single scuff or blemish on the armor, which is rather fitting for the character class. The Elite Officer comes armed with a Covenant Concussion Rifle, released for the first time in the line, and a metallic purple plasma grenade. The rifle comes with a removable black plastic peg that allows the Elite Officer to carry it on him and the grenade can be fitted on any of the pegs sculpted for that purpose at the back of the Officer’s waist. One thing worth noting is that both weapons work well with the hands of the Elite Officer. 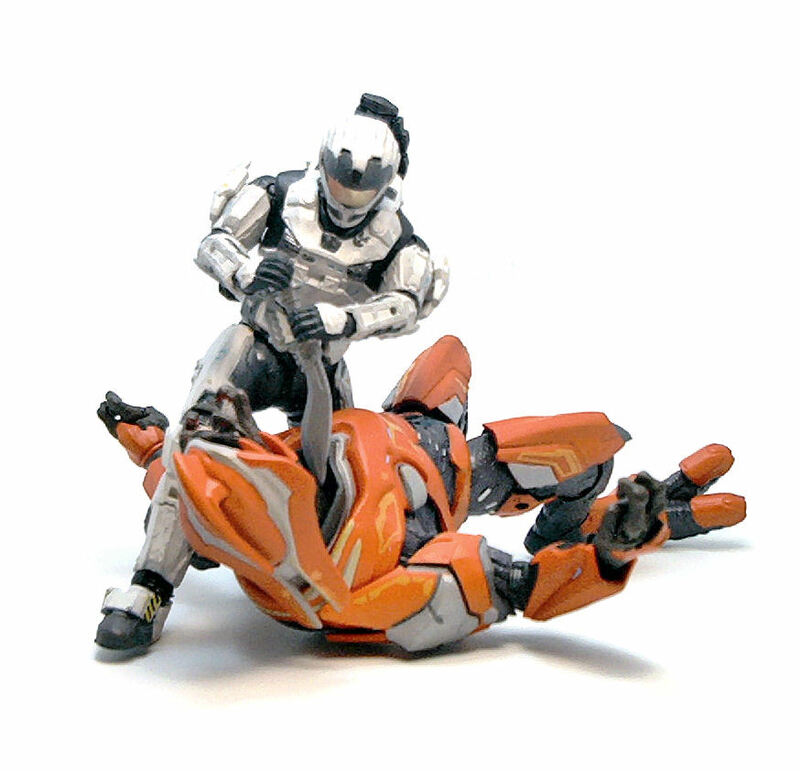 This may sound as a given, but it’s actually not, as sometimes McFarlane Toys will sacrifice the interaction of the figure with the packed –in weapons just to get accessories that are slavishly faithful to the digital model seen in the games. I personally don’t like that approach but luckily, the Concussion Rifle packed with the Elite Officer doesn’t have such issues. 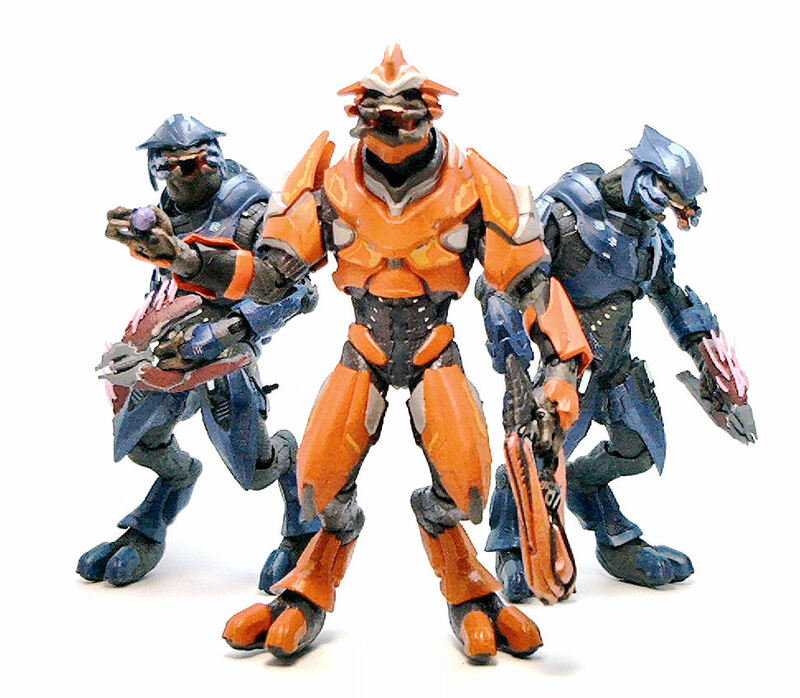 I may be biased, since big bulky monsters are kind of my thing, but I find it really hard not to like these aliens, and the Elite Officer from the Reach line offers much more variety than the simple rank re-paints from the Halo 3 line, making it one of my favorites.